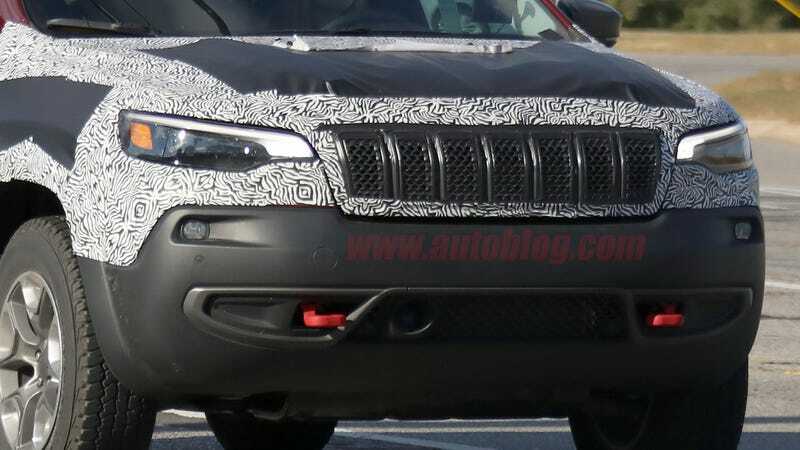 The 2019 Jeep Cherokee is going to undo the original KL Cherokee’s controversial choice of turning the headlights into marker lights and the fog lights into headlights. The buck-toothed hood containing a 7-slat grille will remain. There are new tail lights out back, and all that zebra striping may or may not be hiding revised surface contouring of the body panels underneath.